Release date 25/06/13 on Days Of Being Wild Recordings. Founded in 2004, Passarella Death Squad is a complete aesthetic experience encompassing clothing, musical composition and fine art. Inspired by Andy Warhol’s Factory HQ, it produces multi-disciplinary works united by a sense of contemporary noir. 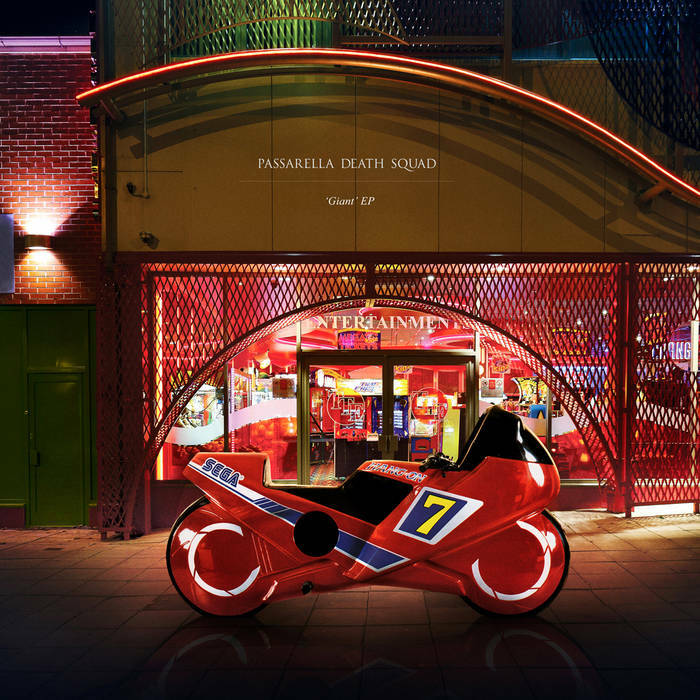 Passarella Death Squad are back with an new EP and once again open up a world of brooding, twisted emotion brought to life by their unique sound. Giant EP commences its twisted journey with French vocalist Emilie Albisser's style beautifully on ‘Blue Lips’ running in parallel across thundering basslines, and clipped layered synth sounds. Title track ‘Giant’ leads with a Vangelis style combination of fear inducing sounds that entwine in perfect time with Emilie’s ethereal voice, from a future where hope is dwindling. ‘The Stars and Stripes’ is an enigmatic homage to the home of electronic beats - Detroit. Where Drexciya channels ‘Drone’ in a fiercely uplifting mantra to the power of America. Giant EP ends with ‘Untitled’ which aptly wraps off this musical journey using metallic sounds melded together taking you back to that Beijing smog with huge LED screens and too many people.